It was recently announced that graphene technology developed by Directa Plus will be used to "enrich" textiles made by Italian high-end clothing and fabric maker Loro Piana. The deal, which is for an initial duration of three years for a minimum value of €0.8 Million, will see Directa's G+ graphene technology incorporated into some of Loro Piana's fabrics and garments. 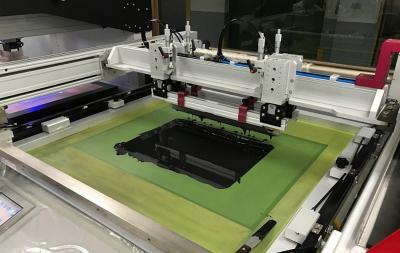 Garmor, manufacturer of low-cost graphene oxide, rGO and developer of innovative GO production methods, recently developed a graphene-enhanced polymeric coating with a 390% reported improvement in tensile strength. Garmor stated that it is already marketing this technology as it has already been fielded and used in commercial applications. Here's a video showing side-by-side testing of the original polymer (left) and the graphene-enhanced polymer (right) shown at 4X normal speed. In addition, Garmor announced the development of an innovative process for converting insulating polymeric fibers into electrically conductive fibers with minimal cost and no waste products. The method has resulted in composites with single-digit graphene loadings delivering conductivity as high as .023 S/cm. 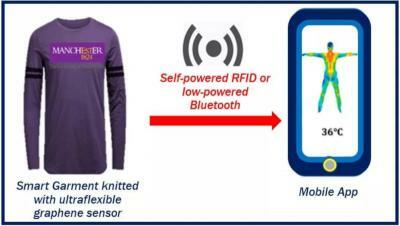 Garmor sees such performance as ideal for wearable sensors and other applications that require integrated approaches to solving weight and measurement issues. 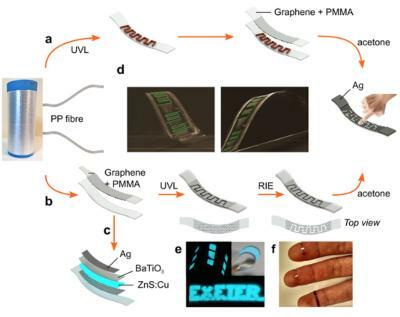 An international team of scientists, led by Professor Monica Craciun from the University of Exeter's Engineering department, has reported a new technique to create fully electronic fibers that can be incorporated into the production of everyday clothing. The researchers believe that the discovery could revolutionize the creation of wearable electronic devices for use in a range of every day applications, as well as health monitoring, such as heart rates and blood pressure, and medical diagnostics.